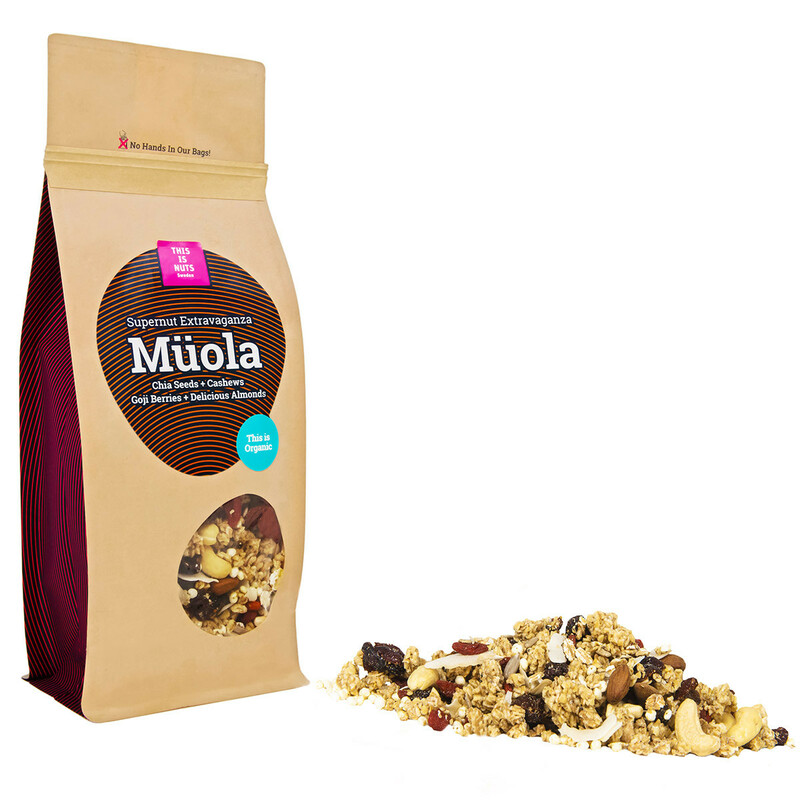 Our Nut Müola is packed with chia seeds, cashews, goji berries sunflower kernels and delicious almonds. Never heard of müola? Well, you heard it here first. 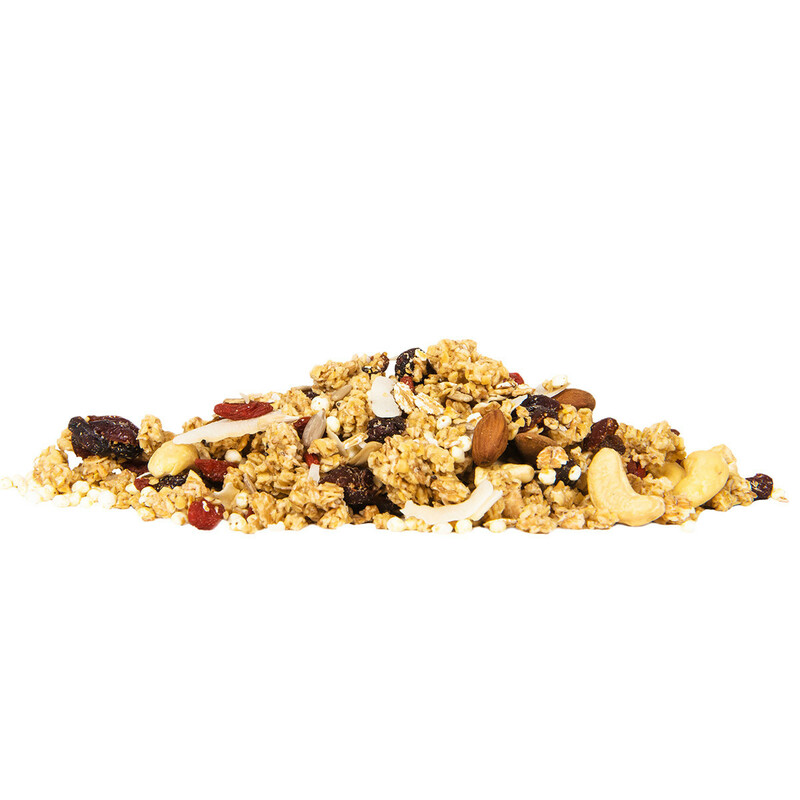 Müola is the divine intersection where müesli and granola come together in a perfect fusion. Try our mouth-watering combination of super tasty seeds and crunchy, creamy nuts. 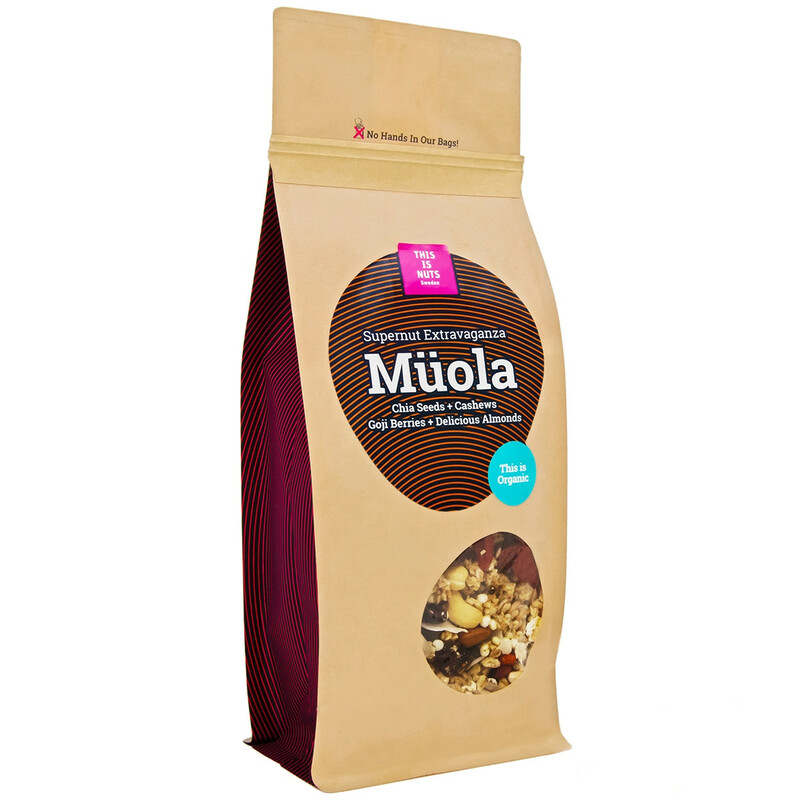 Enjoy our extravagant müola, a 100% organic marriage. 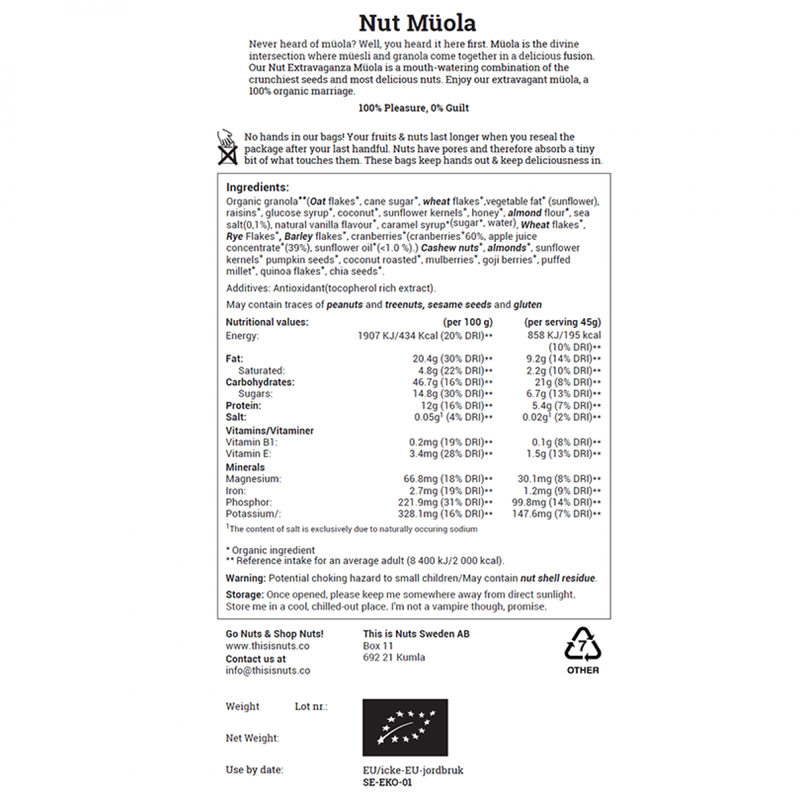 Our nuts and fruits are of the highest quality and always from the first selection. All products are sorted and packaged in Sweden. Specialty packaging is resealable to keep produce fresh. 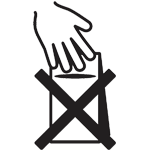 Because we really care about you, and the taste of your nuts, we say "No hands in our bags!" Nuts have pores that that can absorb small traces of whatever is touching them, so we want you to know that nobody's hands have been in your bag of nuts! Nuts can retain their quality for 1 year (or more) at refrigerator temperature (4C or below), or up to 2 years in the freezer (-18C). Keep them sealed well for maximum deliciousness..